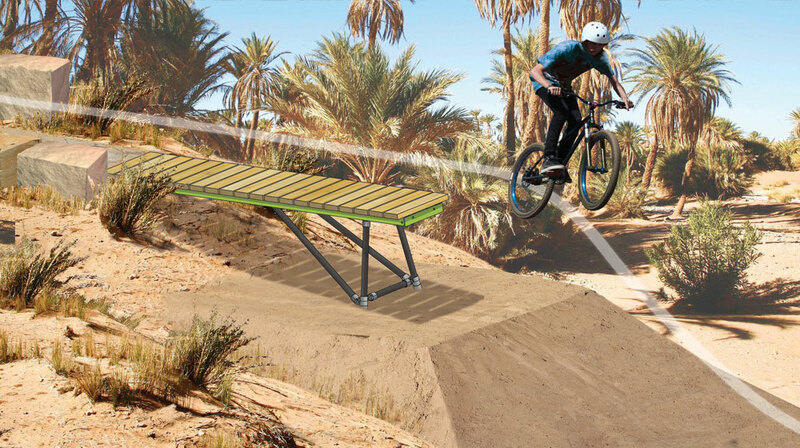 The Cannon Flat is a narrow feature designed to enhance a rider’s drop-off progression. Cannons can be developed from beginner to expert depending on park or trail design. Small - Height: 8' / Length: 5' / Width: 1' 6"
Medium - Height: 8' / Length: 11' / Width: 1' 6"